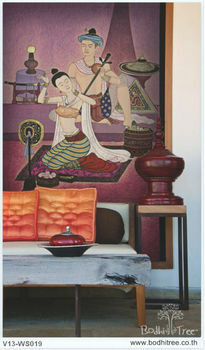 Thai mural art restaurant vinyl wallpaper. It's quick&easy solution for your shop renovation or new decoration. MOQ 5 SQM.